With six published mystery novels under my belt, I’ve hosted a few book launches in my time. The first one was a party in my home with lots of food and wine. Even from the comfort of home, it was a nerve-wracking experience. Later launches, held at community centers and the library, were just as nerve-wracking, as they are for most writers. You wonder if anyone will come, if there will be enough food, whether your talk will go well or be a fumbling disaster, and whether you’ll sell a single book. Happily, my events have turned out well and left me feeling greatly relieved. Yet, these types of launches have lost their appeal over time. Maybe it’s the repetition, the growing dread that your supporters have done enough and aren’t likely to make the trip again, or that I’ve said it all before. But things have changed. Over the past couple of years I’ve found myself experimenting with the novella. I’ve found a new dynamic publisher who embraces technology and different ways of launching books. 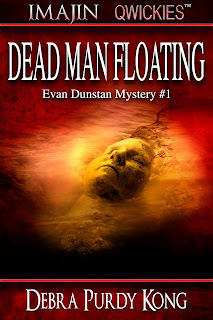 To that end, the launch of my first novella, Dead Man Floating, won’t be a physical launch but a virtual one. I’m hosting a Facebook Release Party on September 12th and I’m pretty excited about it. I’ll be offering ebook prizes (starting a new post for each contest) donated by writing colleagues and a $10 Amazon gift card. I’ll be interacting with guests through comments and discussing a little about how the book came to being. As Dead Man Floating is inspired by my own work in security, I’ll talk a little about my experiences. I’ll offer security tips and ask questions of attendees and fellow writers to keep the discussion going. Honestly, I don’t know what to expect, but I’ll come prepared and I’ll let you know how it goes on my blog on September 13th. You’re welcome to join the party (see link above). 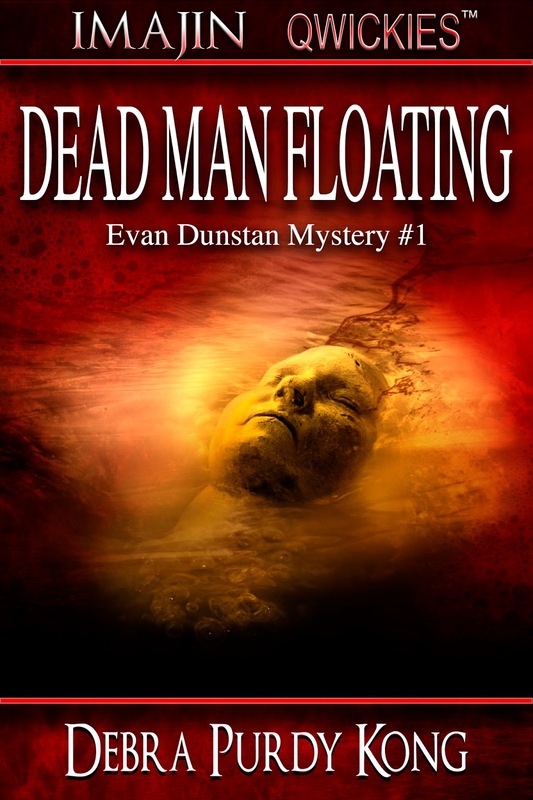 By the way, Dead Man Floating is now available for pre-ordering! This is one of the many questions most fiction writers must ask in most projects. I'm told that the coziest of cozy mysteries eschew all profanity, but it sometimes happens that the villain is a roughneck. What then? Personally, as a reader, I can take it or leave it. I generally don't notice it when it's missing. On the other hand, I can tolerate a moderate amount of bad language -- more when I'm reading to myself than when I'm reading aloud to Mom. When I'm reading aloud to Mom, I generally redact most if not all of the F-bombs and pretty much all of the references to anatomical naughty bits. I once began reading a paranormal mystery by a writer I had recently met and had found to be a very nice person. The profanity was so thick, I stopped reading after a couple of pages. It felt like a verbal assault. I was willing to concede that these characters, in this situation, would talk exactly like that; I just found the volume to be too loud for comfort. Part of the problem was the repetitiveness. There was just enough variety to show me that the writer could mix it up, but not enough to make it really interesting. I have a friend from Chicago who used to be an artist with bad language. Every sentence popped and sizzled; he seemed to have an innate sense of the rhythm of his words. It was like listening to good bluegrass: edgy, but delicious. Knowing these things as a reader, what do I do as a writer? I generally make the decision to limit the bad language I use. My husband separates profanity into two kinds: irreverence and vulgarity. Irreverence is using words that would be fine if a preacher used them in a sermon. Vulgarity is using words referring to sexuality, body parts, bodily functions, or lower eliminations. I say "lower" because, insofar as I know, nobody considers "snot," "spit," or "earwax" profane. It seems to me that limiting the bad language you use in your writing -- if you're writing about people who use profanity -- makes the profanity you do choose to use more powerful. If the usage is so common as to be unremarkable ... part of what writing is about is eliminating the unremarkable from your writing, yes? So I would go with just using enough to give a flavoring without crossing the line into a waste of ink. Following up on last week’s blog about becoming a writing entrepreneur, I want to focus on something I started doing in earnest about five years ago, which is to sell my six titles at farmer’s markets and craft fairs. It didn’t take much research to learn that there are many opportunities to sell books beyond the traditional stores. A couple of crafting friends encouraged me to try at my local Curves’ Christmas fair back then. I enjoyed it so much that they gave me the names of other fairs. Handselling at these types of events has been much more fun than standing behind a table in a bookstore trying to draw people in. Craft fair customers are never in rush and take the time to chat, to ask about my books. Some of my customers include teachers who buy copies for their school library, others belong to book clubs. I’ve landed a few great speaking engagements from customers who’ve invited me to speak at their organizations. In addition to an attractive table covering and book display, I’ve found other useful tools along the way. First, professional business cards and bookmarks are a must. Growing numbers of customers want to know if my books are available on Kindle or Kobo. Taking away a reminder could definitely result in future sales. Second, have an eye-catching banner made. Many of the fairs and trade shows provide curtains to attach banners to, and I constantly see customers looking at those signs before approaching a table. Third—and this one has really improved sales—use Square or something similar to conduct credit card transactions. Square was recommended to me a couple of years ago and is easy to use on an ipad or my iphone. The first winter I used it was at a huge Christmas craft fair. One woman bought $75.00 worth of books on her card. Without Square that sale would have been lost. Today, I was at a smaller, four-hour event. Over 50% of my sales were made through Square. I hate to think where I’d be without it. They’re inexpensive to buy (in fact, your $10 investment is refunded by Square) and easy to set up even for luddites like me. Square takes a tiny percentage of each sale, but money from those transactions (for which Square takes a tiny percentage) is always in my account by Monday morning. If you want to sell print copies of your books, don’t rely just on the traditional means. There are plenty of other ways that can be fun and profitable. In my 30+ years of writing, I’ve gone from a struggling newbie agonizing over every word and more drafts than I can remember to a published author. I’ve learned the business side of things, how bookstores operate, plus the ins and outs of contracts. I’ve read numerous articles on self-publishing and traditional publishing, all of which have helped me to view my work from a business perspective as well as a creative one. Although a minority of writers make a living from their work, plenty of them are willing to share their experiences and give advice. One blog from author Joanna Penn made me realize that publishing lots of books in popular genres is only part of the strategy to earning a good living from writing. You see, Joanna has become a writing entrepreneur. Her six-figure income isn’t just about writing and publishing. It’s a combination of sales from teaching courses, professional speaking, affiliate sales, and podcast sponsorship. It’s really quite something and I encourage you to read her blog if you’re interesting in building a writing business. She’s broken down the percentage of income from different sources quite nicely. It’s also interesting to note that she writes both nonfiction and fiction. As you’ll see when you read the blog, the key is to diversify. Many writers think that diversification is about writing lots of books in different genres and then turning them into audio books. But that’s only the beginning for the writing entrepreneur. I’ve been lucky enough to take on a few paid speaking engagements this year. I’m also paid to facilitate a creative writing program from time to time. But Joanna’s blog has made me realize that there is so much more I could do. Surprise! My Ebooks are On Sale Right Now! I used to be pretty good at keeping track of my books’ sales ranking on amazon, but then life became unbelievably hectic and I lost track until last week. 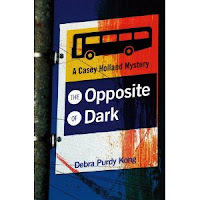 As it turns out, the normally $7.99 price for my first Casey Holland mystery, The Opposite of Dark has been reduced to $1.99 on amazon.com! The story begins when the police tell Casey that her that her father’s been murdered in his West Vancouver home. But Casey buried her dad three years earlier, and he never owned a home in West Van, although he’d always wanted one. The story is about unraveling the truth about one’s past, and how the childhood’s we thought we knew weren’t the whole picture. The second installment, Deadly Accusations, is also on sale which is great because the book really is a follow-up to all of the family drama Casey experiences in the first book. The story picks up the story four months later, when Casey now finds herself with a boyfriend, Lou, eleven-year-old ward, Summer, and still reeling with the aftermath of family shocks. Compounding her problems is the murder of an irritating new coworker who, for some reason, didn’t like Casey, and another colleague likes Lou a little too much. And last, but not least, my latest, The Deep End, a story about youth at risk (inspired by my volunteer work in a youth detention centre) has also been reduced to $3.99. 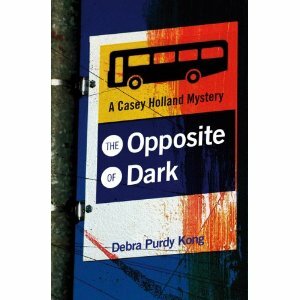 For all you Kobo users, The Opposite of Dark has been reduced by at least 50% there as well to $4.99! Bargains, bargains, bargains! Ya gotta love ’em!